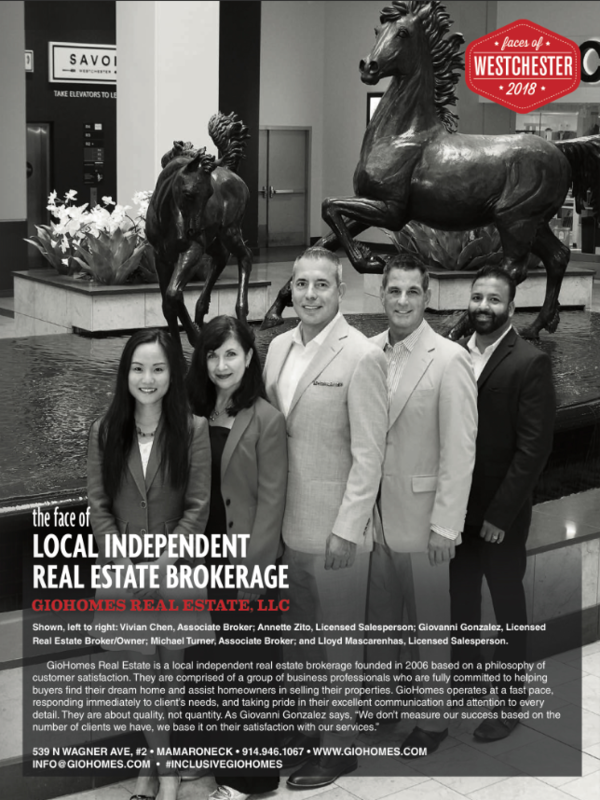 After two years of selling real estate at a mom and pop firm in White Plains, I became an Independent Real Estate Broker in September of 2006, and opened my own independent real estate brokerage, instead of joining a corporate real estate firm. 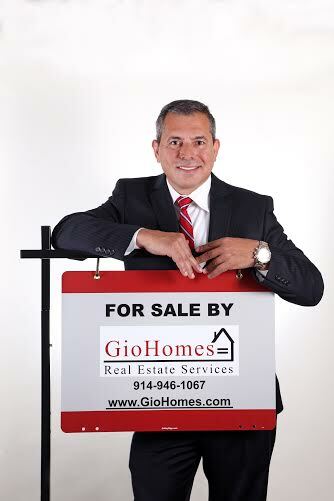 I started GioHomes Real Estate Services with the goal of providing a personalized real estate services based on a philosophy of customer satisfaction. From the start, I knew that focusing on quality instead of quantity will pave the way to our success. We make it a point to respond immediately to each client’s needs, and take pride in providing excellent communication as well as personalized attention-to-detail. We believe that basing our success on our client’s satisfaction instead of the number of clients we have is the key formula for providing an unsurpassed level of service. Along with my team of business professionals, I am very proud of our continued success as a company. As a professional Real Estate Broker, I have achieved industry and public recognition as the recipient of the Excellence in Sales Award of the Westchester Putnam Association and the Westchester Magazine Five Star Real Estate Agent Award for nine consecutive years. My background as a financial advisor is also played a significant role in building my practice. Real estate is about numbers – it’s very important that buyers and sellers to understand the numbers when buying or selling properties. As a professional broker, one of my strengths is running and analyzing the numbers, and providing my clients with helpful financial advice whenever they require it. My extensive marketing background also allows me to work with my clients’ best interests in mind. By knowing exactly how to highlight the advantages for a specific clientele, I can effectively increase the chance of attracting the right investors or buyers to each property I promote.